Catch me if you can, is a phrase that may describe the goings on at Zimbabwe’s ports of entry as the Treasury continues to lose millions of dollars in revenue due to smuggling and other criminal activities. Although the amount of revenue lost cannot be quantified since most illegal activities are conducted outside the radar, independent estimates show that the figure could be running into hundreds of millions each year. While the country’s tax administrator, ZIMRA, appears relentless in its quest to plug revenue leakages, offenders are increasing their sophistication each passing day. 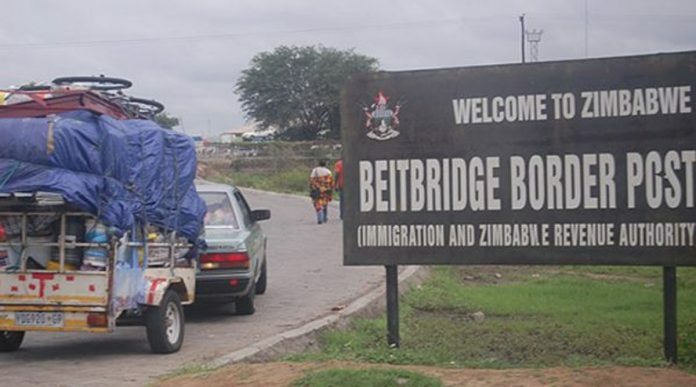 Some suspected smugglers at the Beitbridge Border Post tread where angels fear as some cross the crocodile-infested Limpopo River while others collude with officials from the tax administration agency. That has become a headache for the Treasury as some companies have folded along the way. With public sector spending accounting for nearly 90% of total revenues, Zimbabwe’s fiscus remains under severe strain to meet its ever-growing list of demands. Smuggling and the lack of capital to retool have been cited as some of the reasons that claimed the scalp of yesteryear textile firm, National Blankets. The Bulawayo-based company closed shop a few years ago, leaving Waverly as the sole manufacturer and distributor of some locally-manufactured blankets. Sifelani Jabangwe, the president of the Confederation of Zimbabwe Industries (CZI) told Business Times this week that smuggling has also affected Waverly’s operations. He said rampant smuggling prompted the CZI to set up a committee on border control, comprising ZIMRA, the police and the CZI. Questions sent to ZIMRA last week on how much smuggling and other illicit activities had prejudiced the government, were not responded to at the time of going to press. Increased revenue leakages have now been placed on the government’s agenda. The country’s economic blueprint – the Transitional Stabilisation Programme (2018-2020) – will, among other issues, target unethical practices at the country’s ports, tax evasion, smuggling and money laundering. Research conducted by the non-profit orgnaisation, Global Initiative Against Transnational Organised Crime, on the economies of Southern Africa has shown that many trucking companies actively seek to defray their costs by ferrying illicit loads. According to the latest report on the Illicit Tobacco Trade in Zimbabwe and South Africa, done by the Scowcroft Centre for Strategy and Security, fuel tankers and trucks were once used to smuggle cigarettes across the Beitbridge border into Zimbabwe. ZIMRA improved its Electronic Cargo Tracking System in the past few years to curb transit fraud. But that is not enough. Several goods have been shipped out of the country after being under-declared. Under-declaration of goods is whereby importers misrepresent the quantity of goods they are bringing into the country in a bid to avoid paying the correct taxes while, on the other hand, false classification of goods involves a situation whereby importers present false goods to the tax officers for purposes of evading the correct taxes. Critics argue that, apart from the current measures adopted to reduce leakages, there is a need for an overhaul of the country’s tax regime to improve compliance and boost revenues. In 2016, an audit into the goings-on at ZIMRA exposed massive corruption, fraud, poor governance, and tax evasion within the authority itself, amid shocking revelations that the Treasury was prejudiced by $20m. During the same year, the CZI Zimbabwe’s Corruption in Business Survey revealed that the police and the State Procurement Board (now the Procurement Regulatory Authority of Zimbabwe) were the most corrupt institutions in the country. ZIMRA also made it to the Hall of Shame as the third most corrupt organisation.